Wives since the reality show about the polygamous Brown family premiered back in 2010. 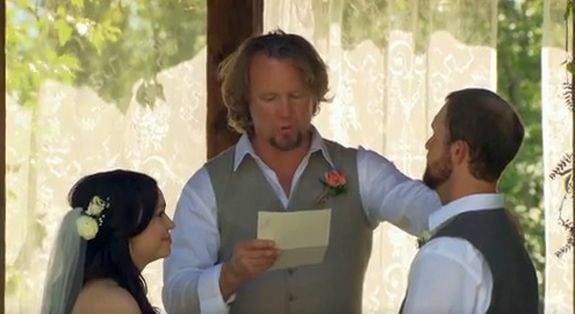 Although family patriarch Kody Brown has walked down the aisle four times, only his wedding to Robyn made it on the show. Lately, though, the Brown family offspring have been getting hitched. Two of the adult daughters had weddings in 2016, and two more of Kody’s kids are currently engaged, which means there are plenty more Brown family weddings coming our way in the future. 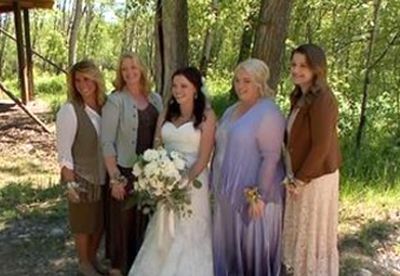 This seemed like a good time for The Ashley to take a look at all of the ‘Sister Wives’ weddings…by the numbers! I really wonder about the mystery woman that Kody & Meri “courted.” If she wrote a book, I’d buy it, to see which one of the two was the final turn-off. Right?! And Marjorie, ex from Josiah Duggar should write a book as well (she was hinting on it quite a bit), they could both give it a title “I escaped marrying in a crazy family” or something like that. She already wrote that book. She only makes a vague reference to him, perhaps. It’s full of good Christian girl advice. I think they broke up right after the Josh molestation situation became public and she probably was uncomfortable with how the family handled it.